Oh my. This stuff was so amazingly yummy. 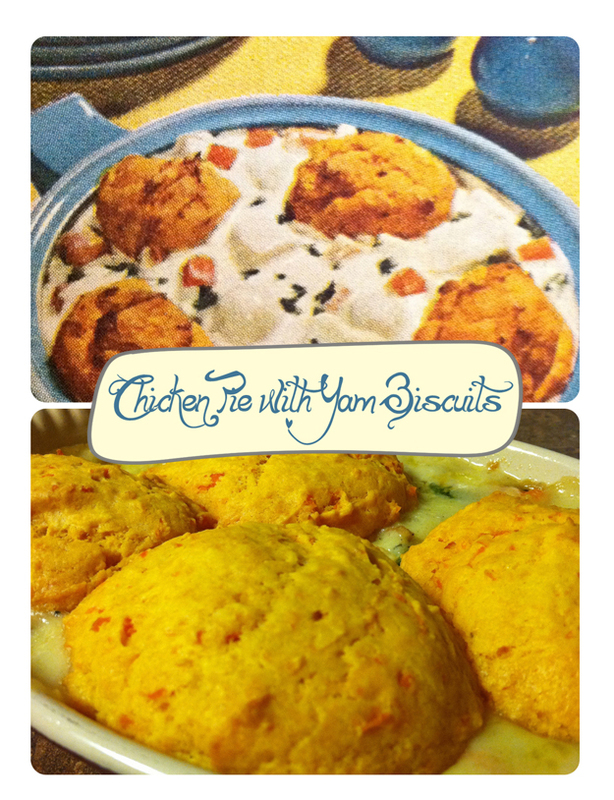 Chicken Pie with Yam Biscuits is another recipe from my 1940s Better Homes and Gardens. While it's baking, it will make your house smell like grandma's. 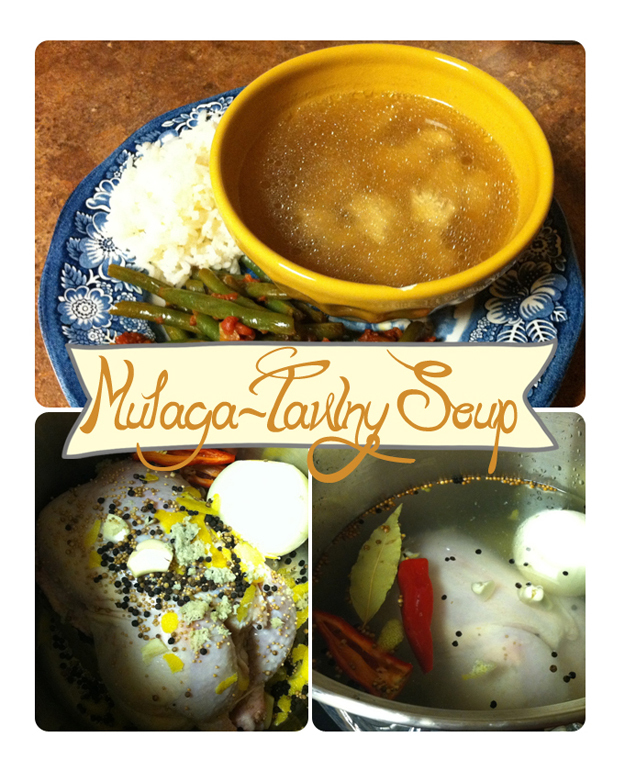 I made a few changes, including making my own chicken-y white sauce instead of using canned cream of chicken soup (ick!). Prior to baking, filling can be refrigerated or frozen. Refrigerate or freeze yam biscuits separately. To cook from refrigerated, place the casserole in the oven while it comes up to temperature then cook as usual. 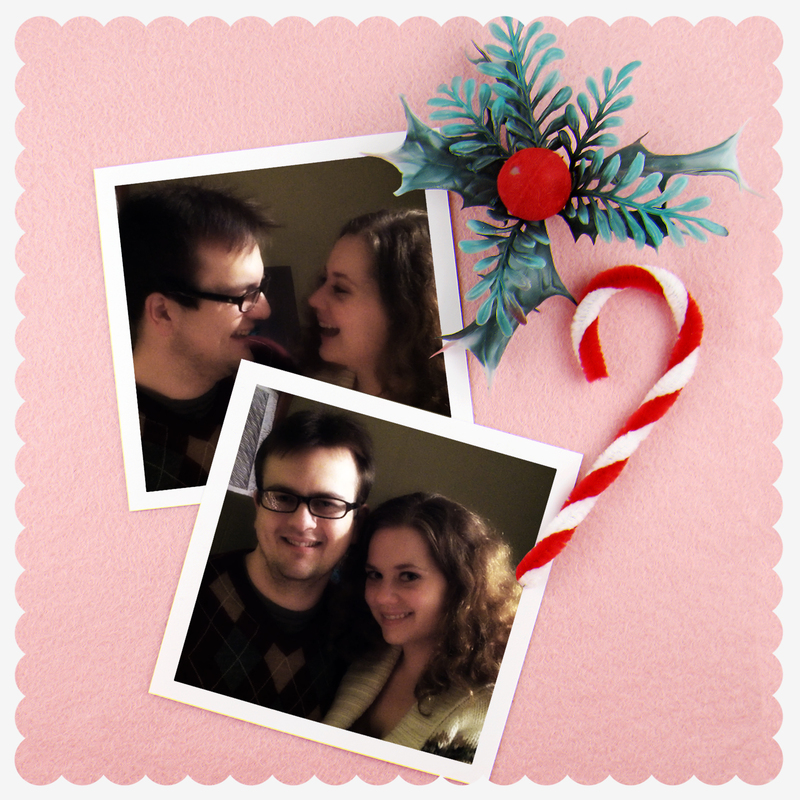 Seasons Greetings from Paul and Lauren! I hope all of you are enjoying whichever winter holiday you're celebrating. Thank you so much for your readership and your lovely comments over the past year. Here's to 2012! The Thin Man is one of my absolute favorite movies. It also happens to be a holiday movie, but thankfully, it's not sappy or sentimental. It's really just a fabulous, witty mystery that happens to be set during the holiday season. Guess what? It's on TCM tonight, followed by all five sequels. The first one is my favorite, but they're all watchable. I LOVE Nick and Nora Charles. They really know how to make marriage look like fun. You'll need two mixing bowls, one for the egg yolk and one for the egg white. In the bowl with the egg yolk, add the sugar and beat until yolk becomes thick and pale. Beat in the cream, milk, whiskey and brandy. Chill. In the second mixing bowl, beat the egg white until firm peaks form. Fold the egg white into the chilled mixture in the other mixing bowl. Chill the entire concoction for a few hours. 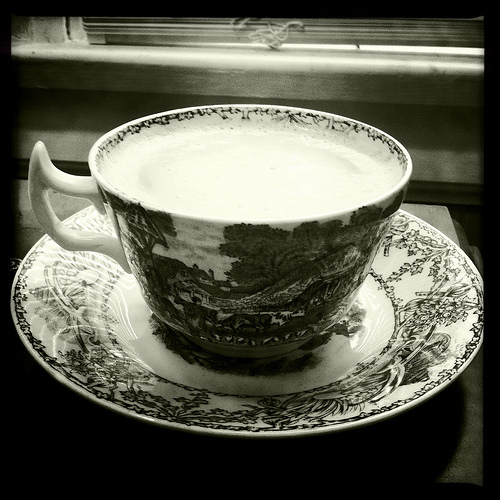 To serve, divide between two punch cups and grate nutmeg over the top. Enjoy! Serves 2, but can easily be doubled, tripled, etc. 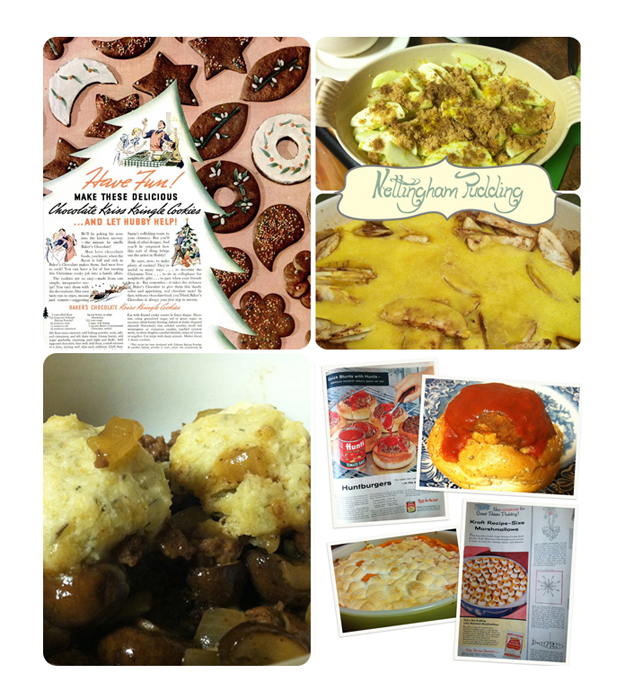 Adapted from "Eggnog" in Letha Booth, The Williamsburg Cookbook (Williamsburg: The Colonial Williamsburg Foundation, 1975),162-163. This is the first time I've ever made eggnog. It wasn't that difficult and the payoff is enormous. 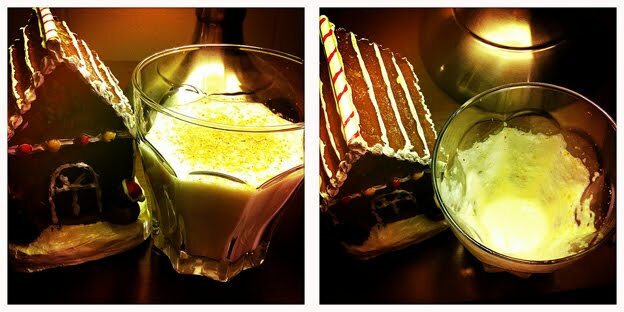 If I do say so myself, my eggnog is one of the yummiest things I've tasted. There will be eggnog every holiday season from now on! I was inspired to have a go at eggnog-making, because of the ad below. Don't you just love the sideboard? And the wallpaper? It's fantastic! 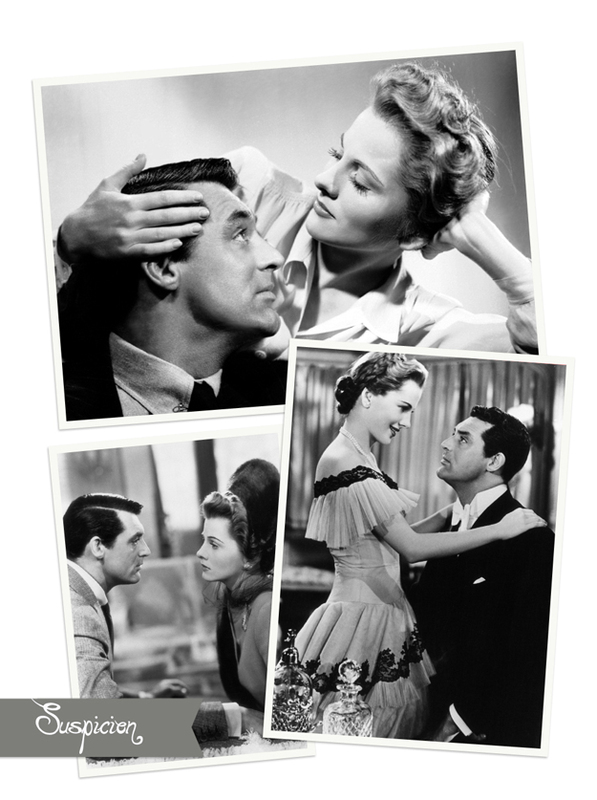 Who doesn't love watching movies starring Cary Grant? I've picked two in which his characters are charming wastrels. In Alfred Hitchcock's Suspicion, Johnnie marries wealthy and quiet Lina (Joan Fontaine) and promptly starts burning through all her money. Then, Johnnie's friend ends up dead and Lina worries that she might be the next victim. If that's all a bit serious, The Philadelphia Story will lighten things up considerably. It's Cary Grant's fourth (and final) pairing with Katharine Hepburn and it's one of the best movies ever. If you haven't seen it, you need to run out and get it right away. In The Philadelphia Story, C.K. Dexter Haven (Grant) sells a tabloid editor access to his ex-wife's wedding (the ex-wife is Tracy Lord, played by Hepburn). "Dext" might be a worthless drunk, but he's a heck of a lot more charming than Tracy's straight-laced fiancé. James Stewart and Ruth Hussey are the down-on-their-luck writer and photographer assigned to cover Tracy's marriage. Roland Young and Virginia Weidler add to the fun. 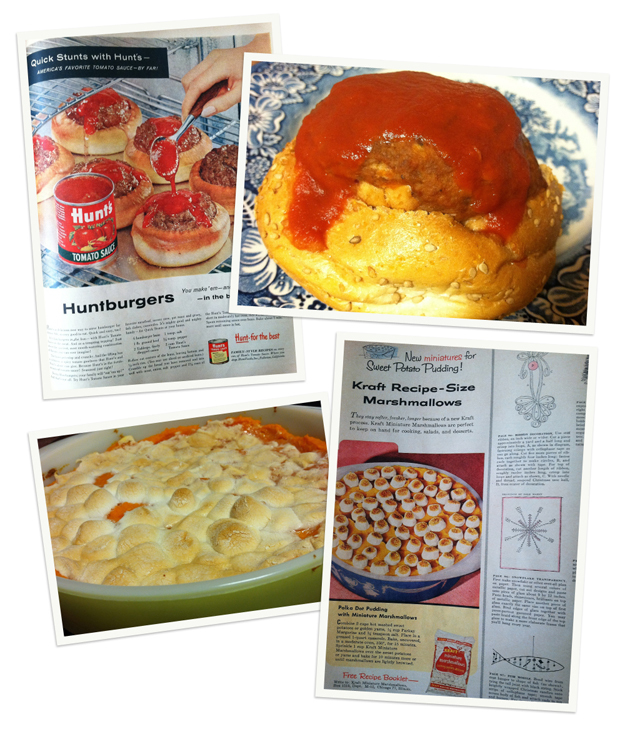 It's that time again--another recipe from The Slenderella Cook Book (1957). It's really not much of a recipe. Basically you boil some broccoli and put that in a casserole with leftover chicken and pour cheesy sauce on top of it. Then you stick it in the oven for ten minutes. It's not wow! spectacular!, but it's tasty enough and a great way to use up leftover chicken (and work in some veggies at the same time). I like chocolate, but I'm far from being a chocoholic. I like a pale, rather insipid, cup of hot cocoa. I mean insipid in the best way possible--comforting but not assertive. It's unashamed nursery food. The most exotic, gourmet hot cocoa blend never charms me quite the way this pale cocoa in its transferware cup and saucer does. First thing you'll need are some fabulous pajamas. I have the Brooks Brothers cotton ones already and I love them. (You can click each image for more information.) Leather ballet slippers are my house slipper of choice. I usually buy them a size up from the size I wore for ballet class so I have room to wear socks. Next up, you'll need a hot toddy. I always start out with these and then things devolve into Scotch with near-boiling water because I don't want to bother with the lemon and the honey when I'm sick! 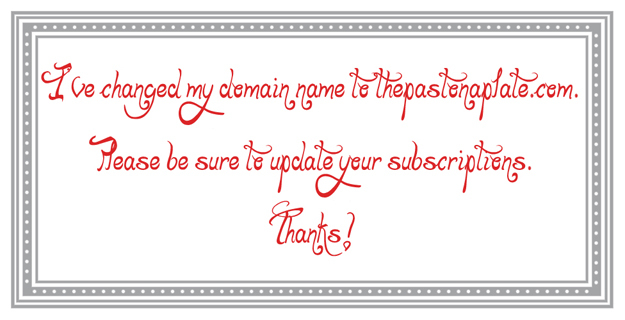 First some housekeeping: You may have noticed I now have a custom domain name. It was an anniversary present to myself. I've included a link to follow the new domain on bloglovin'. Google Friend Connect should still work since I bought my domain from google. 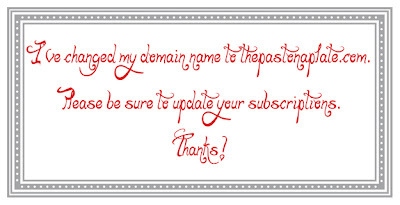 Also, if you follow through e-mail, you may need to sign up again. Sorry for the inconvenience! And thank you for being the best readers in the blog-o-sphere. I love picking up old magazines at estate sales or antique stores. 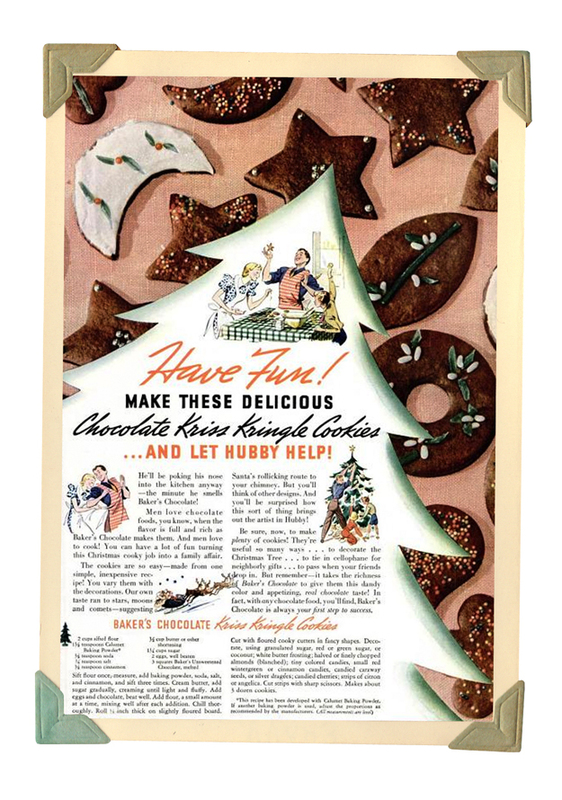 This December 1956 issue of McCall's is chock-full of great recipes, including Huntburgers and Polka Dot Pudding, which went perfectly with a viewing of White Christmas (1954). A couple of notes: next time, I'd use homemade marinara sauce in the Huntburgers, so that's what I've listed in the recipe. Secondly, the marshmallow ad has obviously used torched marshmallows, rather than the browned-in-the-oven variety (see my photo). Paul's hoping I'll make this again and let him take his propane torch to the unsuspecting confections. For the past few days, we've had very cold weather and we even woke up to snow Tuesday morning! It's definitely time to get out some hearty, warming recipes. 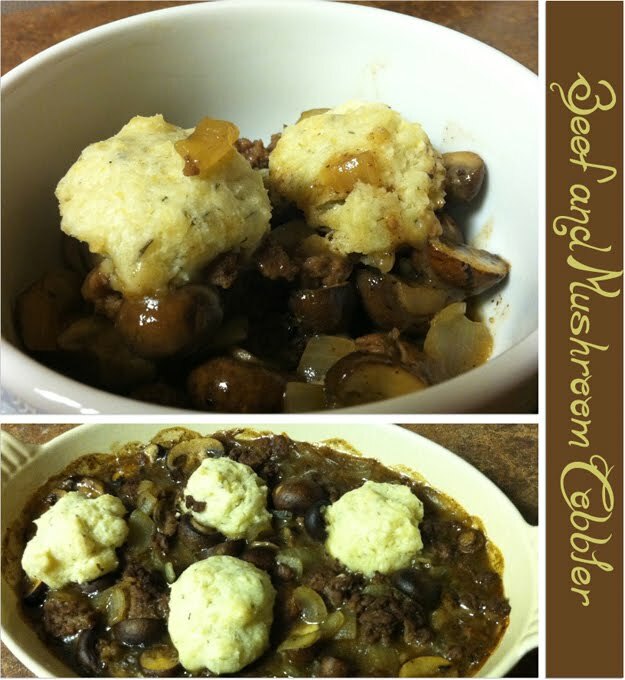 I love mushrooms and I love dumplings, so I love this recipe! Since there are only two of us, I make an entire recipe of the filling and put half in the fridge. When I cook it, I just add the topping and bake as usual. I had homemade chicken stock, so that's what I used. Feel free to use beef stock if you have it. I'm a huge fan of the 1938 film, The Adventures of Robin Hood, so I thought it was time to finally sit down and watch the silent, Douglas Fairbanks version. 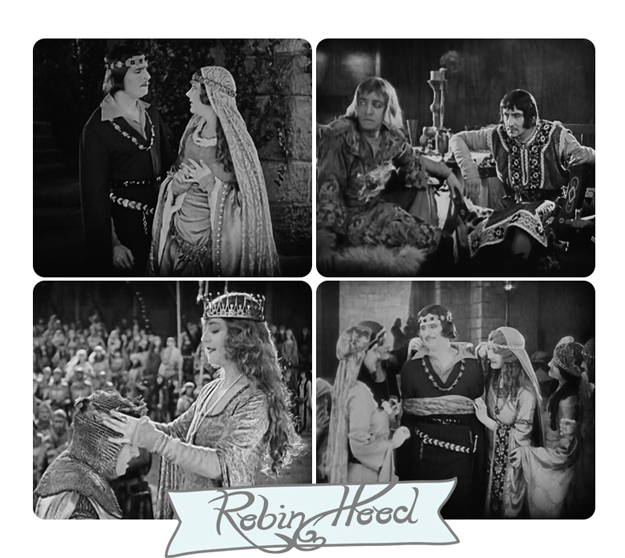 Robin Hood (1922) also stars Wallace Beery as King Richard and Alan Hale as Little John (the same part he played in The Adventures of Robin Hood). While the '38 version is suitably Olde England, it's much more streamlined than the '22 version, which shows a marked pre-Raphaelite influence. Practically everyone (except Douglas Fairbanks) turns out in a William Morris print at one time or another. It's amazing how the preferred style of representing the Middle Ages changed in the sixteen years between 1922 and 1938. My regular readers (hi, guys!) know all about "Life This Week," but if you're visiting from Visions of Sugarplums (more about that later), first, welcome to my blog. Second, "Life This Week" has been a regular Monday feature on The Past on a Plate for most of this year. 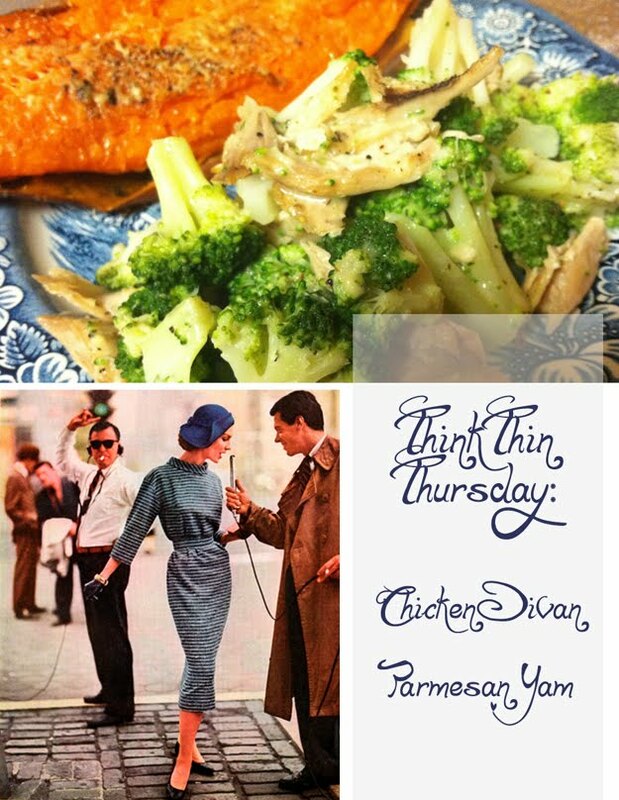 I post when the issue for the corresponding week in 1938 has an interesting movie reviewed in it or features an interesting recipe, sometimes both! You can visit this week's issue by clicking the graphic above. 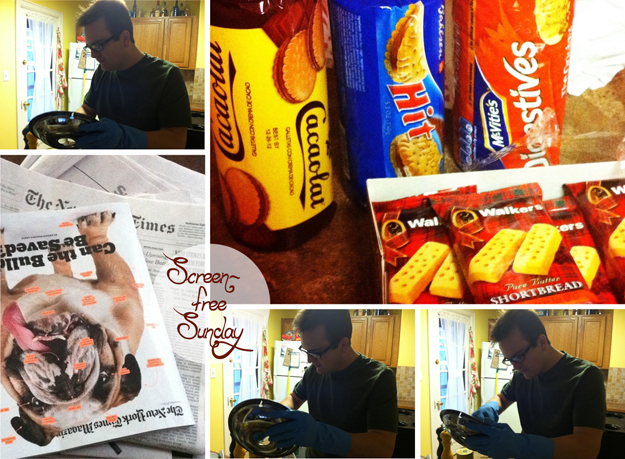 Last Sunday was our first "Screen-free Sunday," meaning we went without both the television and the computer. We both spend most of the other six days on the computer, so we need a day where we can't be computer/DVD zombies. The Sunday New York Times took up the entire morning, but Paul got restless and started scouring the drip pans for our stove. I kept trying to tell him that we were supposed to be relaxing, but he said that's what he was doing! I spent the day working on finishing The Mystery of Edwin Drood, so I can record the film version Monday night on TCM, and playing solitaire with actual playing cards. In the evening, we ventured out and bought an obscene amount of imported cookies from World Market. So--as you're reading this, we're in the middle of another Screen-free Sunday. I'll let you know how it goes! To go with David Copperfield, I've made Mulaga-Tawny Soup from the "19th Century England" chapter of Esther B. Aresty's The Delectable Past. It's a very flavorful, a bit spicy and very simple to make. You can even make it several days in advance and reheat, which makes it nice and easy to use up the leftovers! I've served it with buttered and salted white rice, as suggested, and the Green Beans in Tomato Sauce from yesterday. 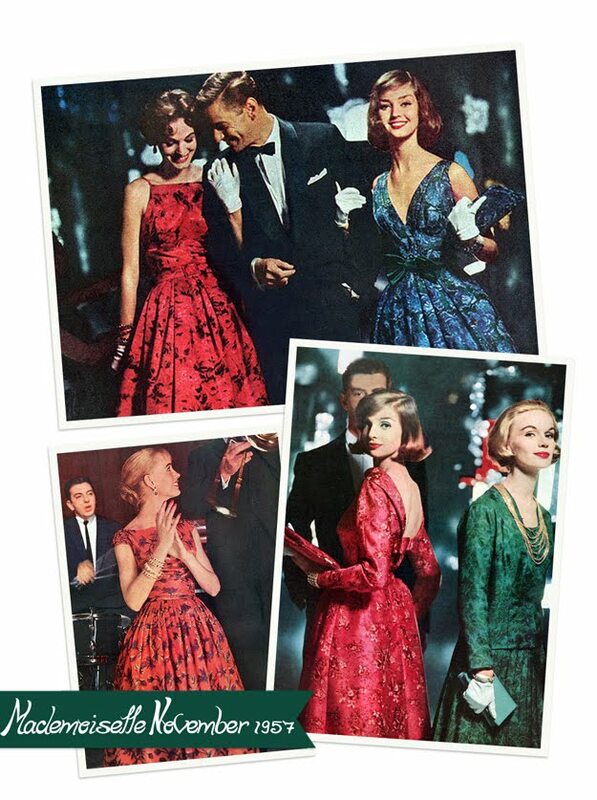 More pretty clothes from the same year as our cookbook!